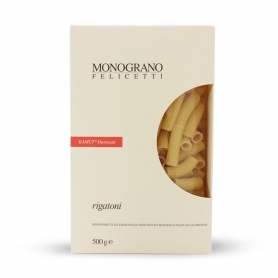 Felicetti has always sought purity, inspired by the nature of the Dolomites, home of the pasta factory. In 2004 Felicetti creates Monograno to promote the excellence of the best grains from certified organic agriculture. Four lines, each devoted to a particular variety: KAMUT® khorasan, FARRO, “IL CAPPELLI“, MATT. 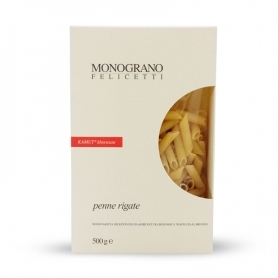 Felicetti pasta There are 30 products. For your best pasta sauces choose a "live", produced with water and air of the Dolomites. Matt's Organic durum wheat semolina pasta is 100% Italian. Esaltane the strong taste with a little olive oil extra virgin olive oil. 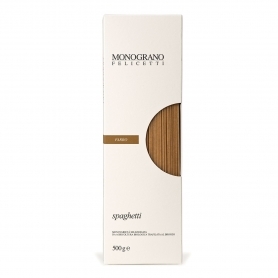 Organic wholemeal pasta extruded through bronze, 100% Italian. Crisp and easily digestible. In the last century "Italian pasta" meant "pasta from durum wheat Hats". 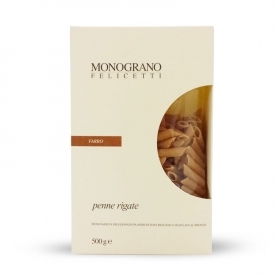 The pasta factory Felicetti rediscovers this noble varieties of wheat to provide the taste of the pasta once. 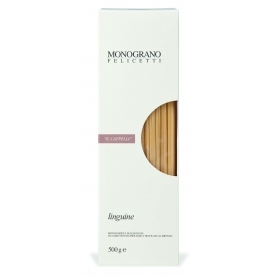 The organic pasta appreciated for its exceptional cooking resistance, is ideal for all your recipes. Spaghettone 2.4 mm in diameter with a direct taste of wheat. Perfect sauce-sauce format for homemade meat sauces. Authentic spaghetti with a pure flavor, perfect for simple and rustic condiments. 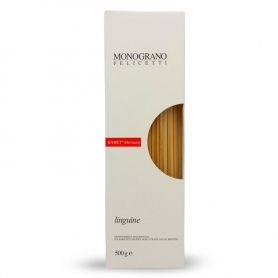 Linguine from monovariety selected of durum wheat Senatore Cappelli biological. A characteristic flavor, ideal for simple sauces with an authentic taste. Penne Pick-grain, produced with Canadian Kamut flour and from organic crops that meet specific purity fees, biodiversity, traceability. 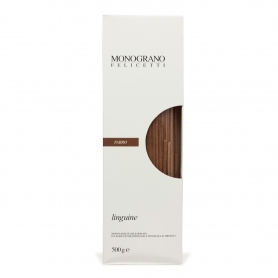 Rigatini Pick-grain, produced with Umbrian farro flour and from organic crops. 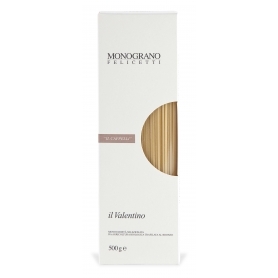 For your best sauces choose a pasta "at the height", produced with water and air from the Dolomites. Penne Pick-grain, produced with Umbrian farro flour and from organic crops that meet specific purity fees, biodiversity, traceability.